In addition to our core services and projects, POPS influences a number of different national policy forums. 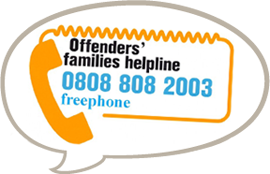 We recognise that to bring about sustained change for offenders’ families, offenders and their children across the UK, local voices must occupy a national stage, promoting good practice and informing policy development. The Reducing Reoffending Third Sector Advisory Group meets quarterly with the purpose of building a strong and effective partnership between the voluntary sector, the Ministry of Justice (MoJ) and HM Prison and Probation Service (HMPPS) to reduce reoffending. The chair for the group and its secretariat is provided by Clinks. The BME Roundtable was established in 2012 and involves a coalition of predominantly Manchester based organisations, including campaigning charities, voluntary sector service providers, research institutions and staff associations. It provides a platform for individuals and organisations with an interest in the issues for people from BME cultural backgrounds to contribute to the reduction of inequality, injustice, oppression and discrimination and the manifestation of racism generally. Current membership includes: Community on Solid Ground, Factory Youth Zone, Community Change Foundation, Patrick Williams (MMU), Hideaway Youth Project, ME1. The Criminal Justice Alliance (CJA) is a coalition of 120 organisations including charities, service providers, research institutions and staff associations, committed to improving the criminal justice system. Its members work across the criminal justice pathway from policing to prisons and probation. The CJA campaigns concerning key issues including: crime reduction, better policing, fairer justice, reduced reliance on imprisonment and better rehabilitation. The Employers’ Forum for Reducing Re-offending (EFFRR) is a group of local and national employers that provide job opportunities for offenders. 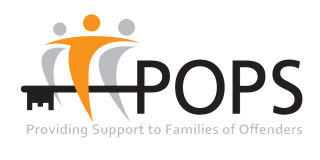 POPS provides employment opportunities through our social enterprise, 2nd Chance. Influence policy and practice development through strengthening the evidence base for investing in good quality family support. Showcase good and innovative practice both inside of prisons and in the community. Improve the awareness and knowledge of organisations outside of the Criminal Justice System of the needs of the families of prisoners. Diane Curry OBE, POPS CEO, is a member of Greater Manchester Police and Crime Commissioner Scrutiny Panel. The panel is part of the new arrangements for developing accountability of policing and partnership working on crime and community safety. The Police and Crime Commissioner works with the Panel to shape the strategic thinking and direction on police and crime issues. Diane is also a strategic member of the AGMA Executive Board and Police and Crime Steering Group which brings together Local Authority Leaders to consider key decisions made across the region that impact upon its communities. Greater Manchester Women’s Support Alliance (GMWSA) together provide services to women involved in, or are risk of being involved in the criminal justice system across the whole of Greater Manchester. The Children of Prisoners Europe Network is a group of organisations and individuals working on behalf of children of prisoners across the globe. Each member brings a level of expertise and practical information from their own professional and cultural context to the network, resulting in a diverse range of shared knowledge regarding the various situations relating to children of prisoners across the globe. The purpose of the Young Review Advisory Group is to look at how to implement the recommendations that came out of The Young Review: improving outcomes for young Black and/or Muslim men in the Criminal Justice System. Members of the group reflect a wide range of skills and experience but critically have a strong desire and the knowledge, skills and experience to make a real difference.